C.I.B. Beetowen Di Assonanza in the Annual " TOP DOG CZ 2017 " of the Czech-Moravian union of kynology took marvelous 4th place in FCI Gr. VI. , i.e. BIG 4 FCI VI. TOP DOG CZ 2017!! Beetowen s Brixi – 2. nejlepší pár v sobotu = 2BIS couple of all breed ! C.I.B. 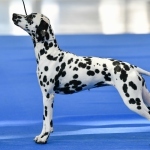 Beetowen Di Assonanza – National Winner 2018, BOB, 4 BIG FCI VI., new " Czech Grand Champion ". C.I.B. 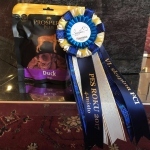 Brixi Di Assonanza – National Winner 2018, BOS, new " Champion of CMKU"!!!! JCh. Brillante Di Assonanza – new " Czech champion. "